Cheers buddy it's much appreciated! They may just go off the same reply for all the prizes you won. They have done that in the past. We shall see though! I hope so, I'm just a bit worried because it only mentions the one prize. But maybe its just an automated message & doesn't take into account if you win multiple prizes. I won 2 prizes and received 2 emails. I however asked if both needed to be responded to and you only need to respond to one (they just need the address for the user name). I would simply reply to the one email you received and ask about the 2nd prize. Yeah I'll do that just to be safe in case there was an error or something. Thanks for the info. Your prizes are on the way. You should receive them in January of 2017. All winners of points and level ups have received them on their profile already. Since some prizes are shipped from outside the winner's resident country, it may take a bit longer to receive the package. 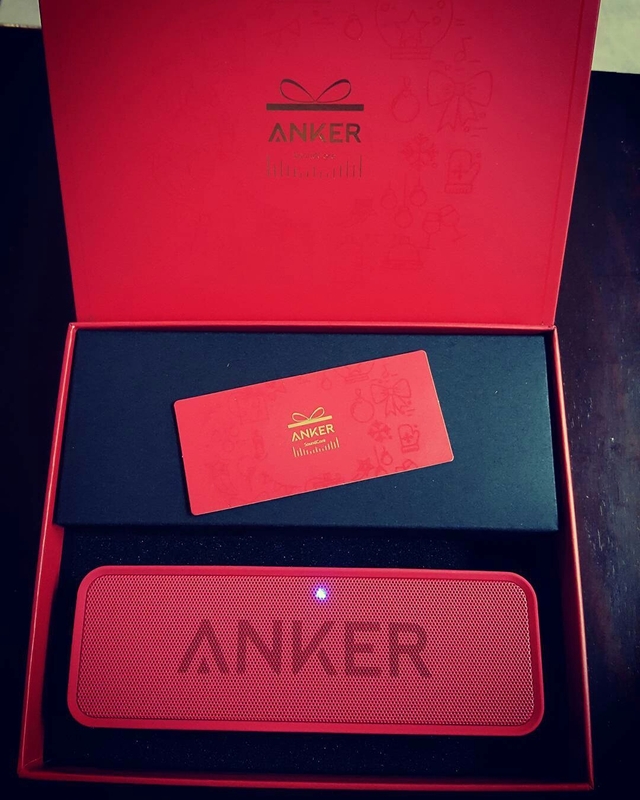 However if you do not receive your prize in January, please send an inbox message to the Anker Official account. For those who won multiple prizes, one submission of your shipping address is enough. Just received my 2 SoundCore Special Edition prizes for the Photo Giveaway contest tonight to my surprise! I didn't expect them until next week! I'm definitely keeping one for myself, I love being able to adjust the volume & playing/pausing from the Soundcore & being able to take calls! I'll be gifting the other one to my sister's boyfriend for his bday though since he loves speakers.